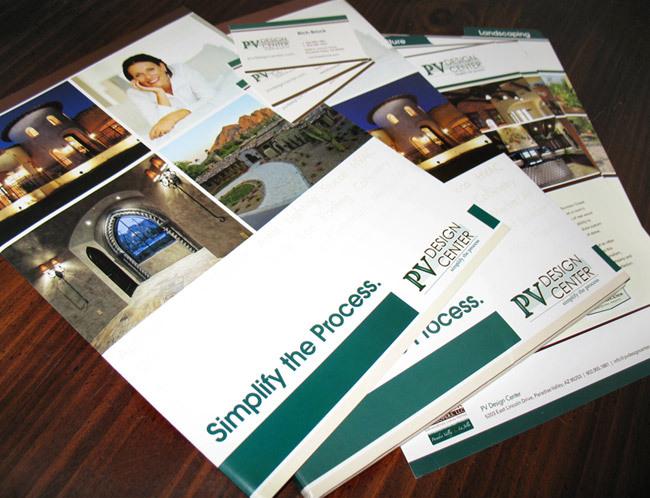 This new home building center in Paradise Valley, Arizona needed some classy marketing materials to advertise their services and promote themselves to new customers. 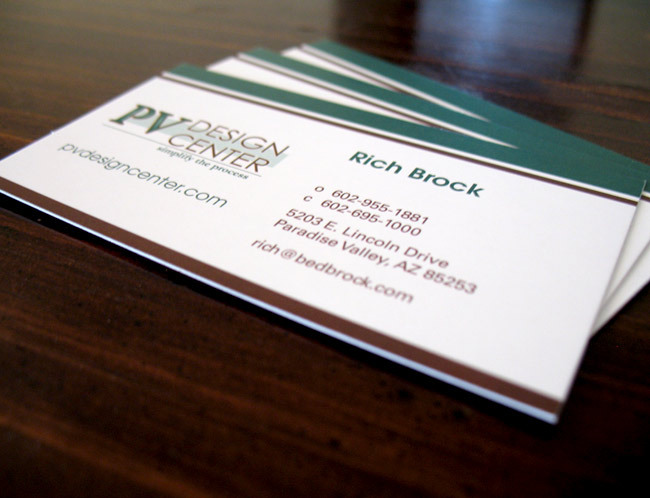 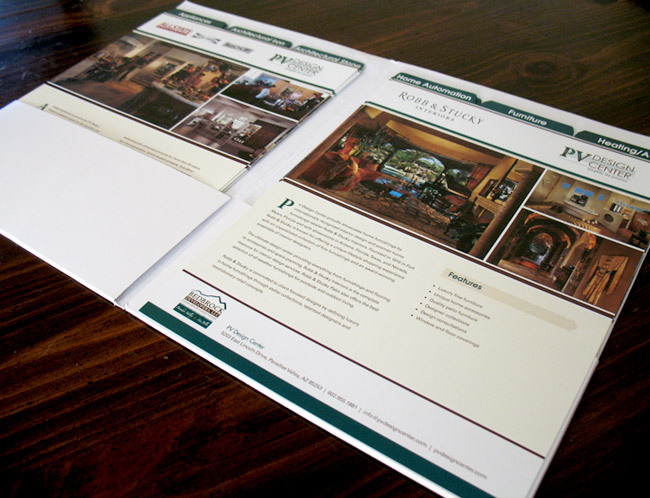 We created business cards, a large brochure, and a folder with inserts for each of their vendors inside. 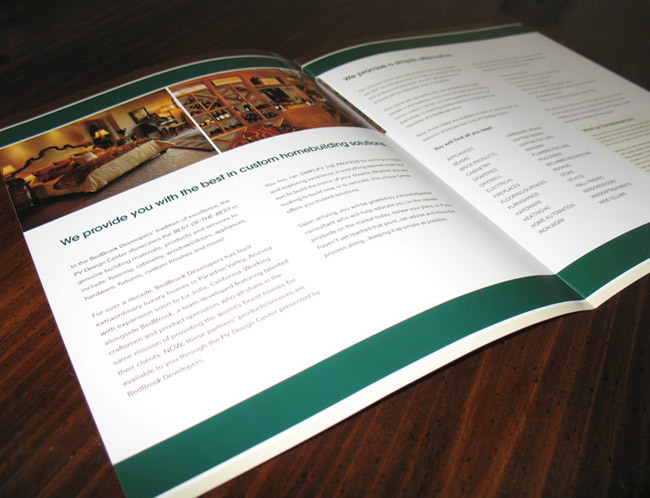 Overall the materials are colorful, professional and elegant to represent the upscale and custom services provided by this company.